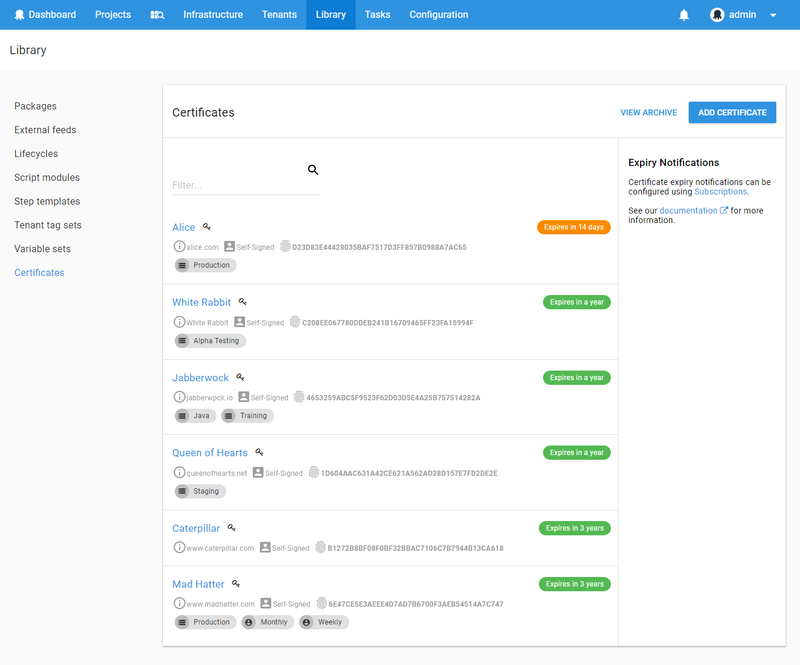 X.509 certificates are a key component of many deployment processes. 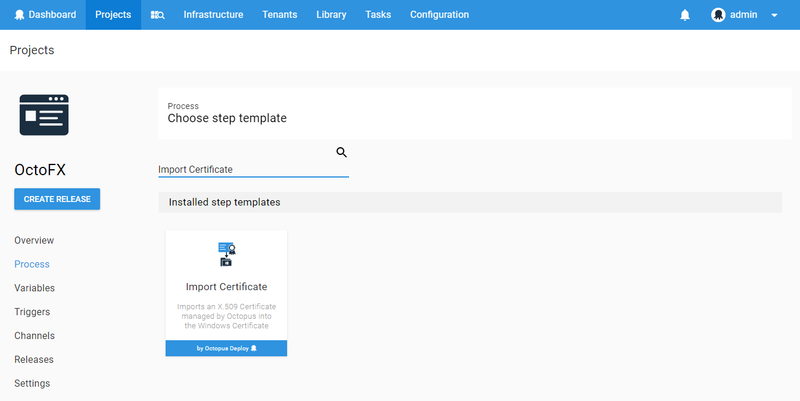 Octopus Deploy provides the ability to securely store and manage your certificates, and easily use them in your Octopus Projects. 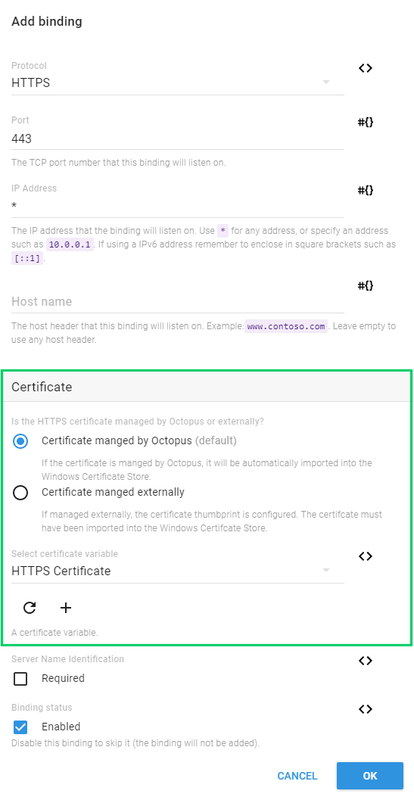 Octopus Subscriptions can be used to configure notifications when certificates are close to expiry or have expired. Certificate-expiry events are not raised for archived certificates. Certificates can be imported to Windows Certificate Stores as part of a deployment process using the Import Certificate Deployment Step. entering the thumbprint directly (this assumes the certificate has already been installed on the machine). selecting a certificate-typed variable (this will automatically install the certificate). 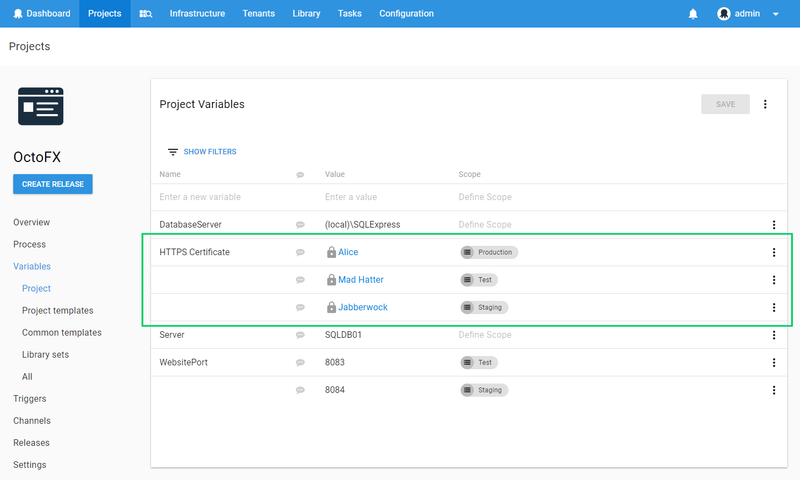 Certificates managed by Octopus can be configured as the value of variables, and used from custom deployment scripts.